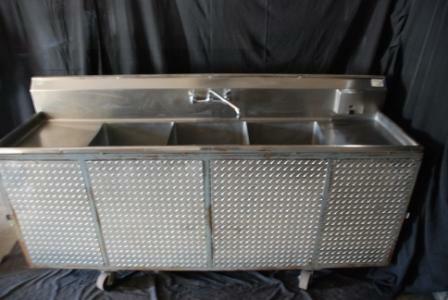 We have NSF approved sinks for indoor and outdoor use in the Las Vegas area. Compartment Sinks – We have commercial grade 3 compartment sinks that will hook up to a standard garden hose connection water supply. We can also supply you with 300 gallon fresh and industrial waste water tanks for outdoor events. Our sinks have instant hot water. You must be able to plug into a grounded 20 amp power source. 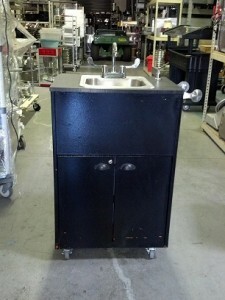 Hand Sinks – Our portable hand washing stations which are required by the Clark County health department for food serving vendors and food handlers at events in Las Vegas. These mobile sinks have instant hot water, soap dispenser, and paper towels. You must be able to plug into a grounded 20 amp power source.